Actually just posted in another thread how nice that graphic is. Hope its a sign of change. If the croots love it, then so do I!! It appears John Bolding is taking his official visit to FIU this weekend. Tayland Humphrey is also on campus, which is cool, but I'm not sure if he's on an official visit too... take it as you may. 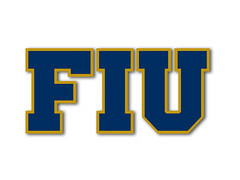 Would be a HUGE get for FIU. Let's go Panthers! Domineck just committed to USF today.... Not him. I don't think either of the brothers have committed. Looks like it's the RB from Krop to which they are referring to. Sounds like we picked up someone else in the last hour or so? Yep. Commitments are starting to roll in now. Cadarius Gaskin, a 6'3/215 WR from Atlantic HS in Delray Beach, FL has named his top 6 schools as of today: Illinois, Pitt, West Virginia, Rutgers, USF, and FIU. Gaskin is a 3-Star receiver that is rated by Palm Beach Post newspaper as Palm Beach County's overall #12 rated player. It looks like we already have three WR commits, but are still targeting many other WRs. I don't see us taking more than 5 WRs this class, and even that many would probably be pushing it. Interesting.